Last year we decided to stop living in the rat-race of the corporate world and work towards making money online instead! 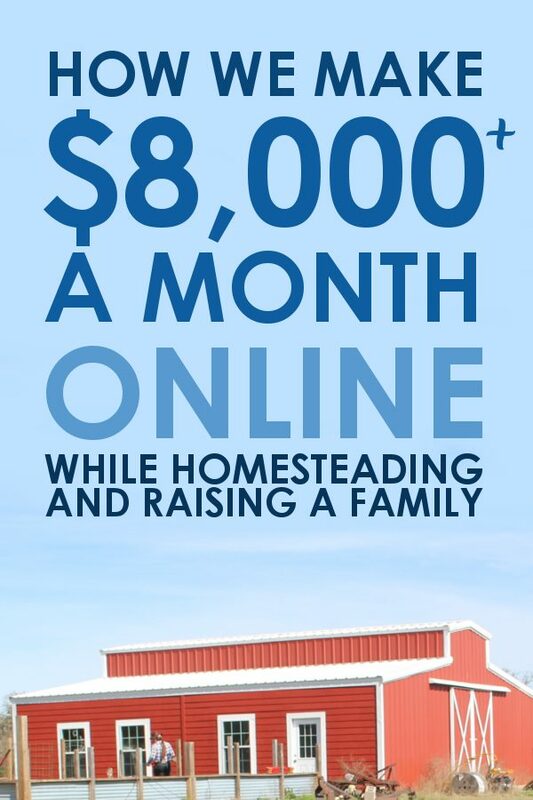 Now we make over $8,000 a month online from our 8 acre homestead! Everything changed one day in January when my husband came home to tell me that his company was downsizing and he was caught in the crossfire… so we had a choice to make. Do we live in the city where we “own” a home and he would have to go back to working for someone else? Or do we take the plunge into self-sufficiency and a life where we could all be together everyday? You can probably guess which one we chose! 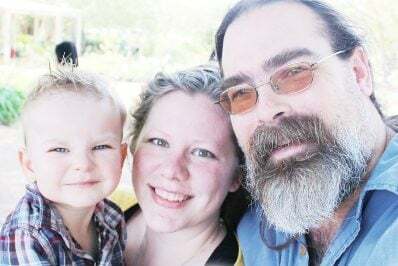 So let me share a little bit with you about how we are making this work and living our dream of homesteading while still making a good living for our family. These are the steps we took to make sure that we were making money and able to live within whatever means we had from our self-employment efforts! Want to skip straight to the money making section? Click here! The concept of reducing your need to make your income bigger is not uncommon to most people who grew up on a farm or homestead… But when you live in the city and have parents who work 9-5 jobs, it can be quite the mindset shift! While we have always lived a very frugal life, we knew we needed to cut costs to the very bone if we were going to have a chance at changing our lives and the lives of our children. We were already living in a modest 1600 square foot house in a mid-level subdivision, but we sold that house in favor of an 800 square foot (one bedroom) house on land. Not only did that move get us out from under a huge mortgage, but it also gives us the opportunity to grow our own food and eventually have animals. Because we were cutting our living space in half, we knew that we needed to get rid of quite a bit. I’m not going to lie, this was tough at first. And the temptation to just get a storage unit until we had a bigger house again was real. But in the end, the whole point of us moving and downsizing was to save money… so adding a storage unit bill of $200-300 a month just didn’t make sense! We also had to contend with the fact that our new home didn’t have a garage, but just a 5×8 back room in which to store anything extra. Bonus: All the stuff we got rid of via garage sales and Craigslist helped keep us afloat while our income streams were growing during those first few months! Seriously, cut everything you can. All the bills and extra everything that isn’t necessary for survival, cut it! 1. Wear a sweater instead of turning up the heat in order to same on electricity. 2. Eat picnic style (no oven or stove needed) meals during the summer to cut down on cooling costs. 4. Sell a car if it has a balance still. 5. Cut cable and subscribe to Netflix or Hulu. 6. Reduce the data on your cell phone plan (be sure to turn off cellular data on your phone so you don’t go over!). 8. Try a few of these extreme ideas for saving money! So, now that you know a little bit more about how we cut our costs, let’s get down to the nitty-gritty of how we make real money! All of our income is 100% passive. That means that we regularly receive money that requires minimal to no effort on our parts in order to receive it! Talk about a dream come true right? I’m not going to lie, our lives very closely resemble a dream right now! We go to sleep when we want, we get up when we want… we keep our own hours and we are together all day, every day! 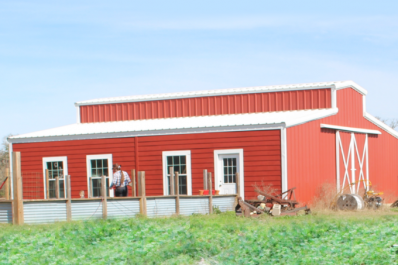 In order to do that we have one main source of income for our homestead. This doesn’t require us to sell animals, or vegetables at the local market. It’s not dependent on our location, the weather, crop yields, or anything like that at all! Instead, all of our income comes from online sources. Namely, this blog! I started blogging 3 years ago to share recipes with friends and family… I had no idea what I was doing or how this little site was going to change the course of our lives. But when my husband found out he was losing his job, and we made the decision to buckle down and do what we needed to do to have a different life, I dove in head first and started making a full time income within 6 months of starting to really work my site like a business! I had always heard that blogs aren’t profitable until they hit 100,000 page views a month… well let me tell you, I started making real money well before I hit 100K! Making the decision that I needed to focus on this blog as a business meant that I needed to make a few changes. I switched away from the hosting service I’d used for 12 years to an amazingly reliable hosting service for the same cost that helped me build my income very quickly. I also started pursuing any and all sources of blogging income that I could find! I’ve shown many bloggers how to make this kind of money, so it’s not unique to me at all! This is information for every blogger, regardless of your niche or size. In fact, I started a second blog a few months ago and implemented these techniques from the beginning. That blog brought in $300 in it’s second month! Wow! Let me save you some time! 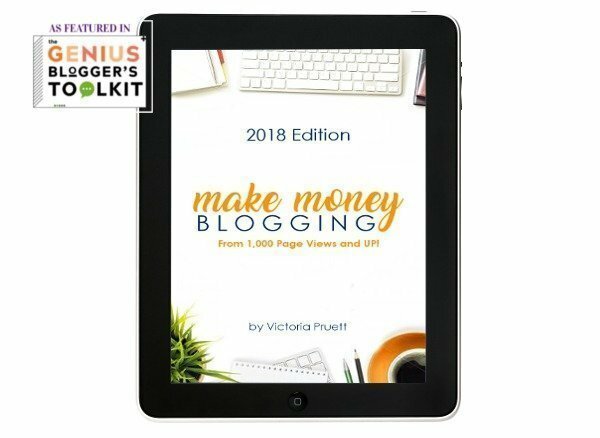 I’ve written up everything you need to know to make money blogging no matter how big or small your blog is. This information has helped bloggers increase their income by up to 450% OVERNIGHT! Check out how you can make money blogging at any level now! 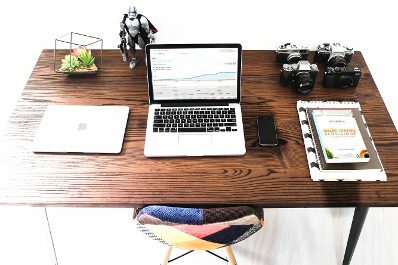 Want to Start a Blog and Make ALL THE MONEY? That’s it! We make real money blogging and you can too! Thank you for the great article. It is a source of inspiration. I am a Kenyan and so my circumstances may be different from those of a person living in the U.S or other developed countries. Soon I will be reaching retirement age. Am considering moving to a small (10 acres) piece of land. I am a medical profession and love writing. 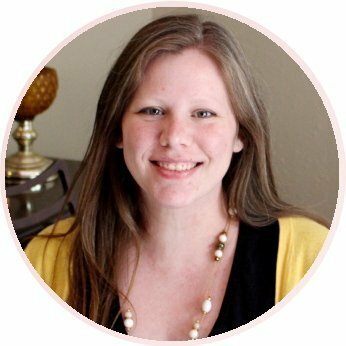 I have tried to run two websites with Site Built It at two different occasions but it didn’t work out for me. I tried my hand at the content mills (Fiverr and others) and they nearly killed me with stress and too little to show for my efforts. I consider myself a fairly good health/medical and general creative wrier. With this background and love for the rural living, I feel you may have suggestions on how I can develop a passive income through my writing. If possible, would like to discuss this further by email. Hi Murigi! I have other readers in Kenya who are doing the same thing you are thinking about doing – but I’m not sure of the details of blogging in Kenya. 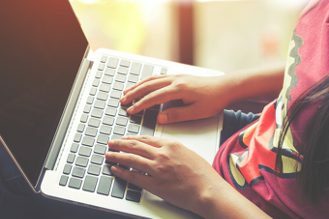 Do you have access to WordPress? If so, then likely all of the information I have available here would be of use to you! I hope that helps and I wish you all the best! I love your story and want to achieve the same level of financial freedom and live a life of our own away from the rat race.